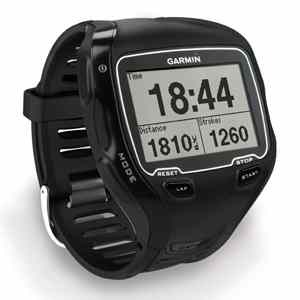 On land, Forerunner 910XT offers many of the features of Garmin’s advanced cycling computers and sport watches to accurately capture your time, distance, speed or pace and more. The 910XT is our first multisport device to incorporate a barometric altimeter for highly accurate elevation data, including ascent, descent and grade. Configurable data fields let you customize multiple training pages for each sport. Set up vibration alerts to give a silent nudge when you hit a split, when it’s time to take nutrition or if you need a little feedback to stay within range of your goals. With these high-level features and up to 20 hours of battery life, the 910XT is ideal for athletes training for ultras or iron distance tris. For advanced training, the 910XT is compatible with ANT+™ sensors, including the optional speed/cadence sensor for cycling or premium heart rate monitor (included with some models). 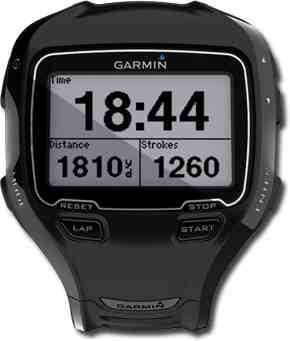 You can pair the 910XT with an existing ANT+ heart rate monitor or purchase as an accessory. Track your weight, body fat, body water and six other measurements when using the 910XT with the Tanita BC-1000 body composition scale. 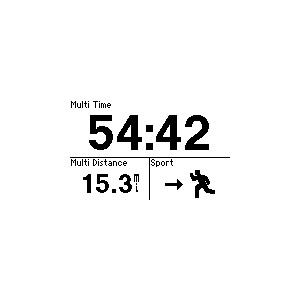 The readings are stored on Forerunner 910XT, then automatically sent to Garmin Connect when in range of your computer.